Can’t get enough of browsing through beautiful wedding bouquets on Pinterest and Wedding Gawker but wonder the name of each flower? Well, you are in luck because I just so happen to know pretty much every flower alive! 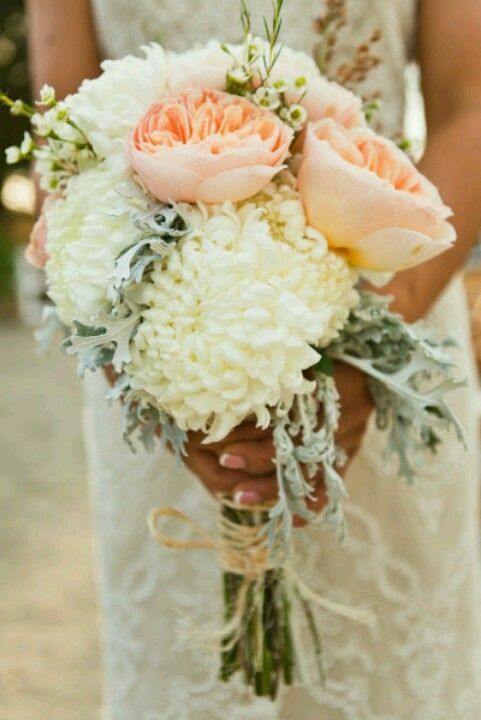 Take a peak at some of my favorite bouquets and what each one is composed of. 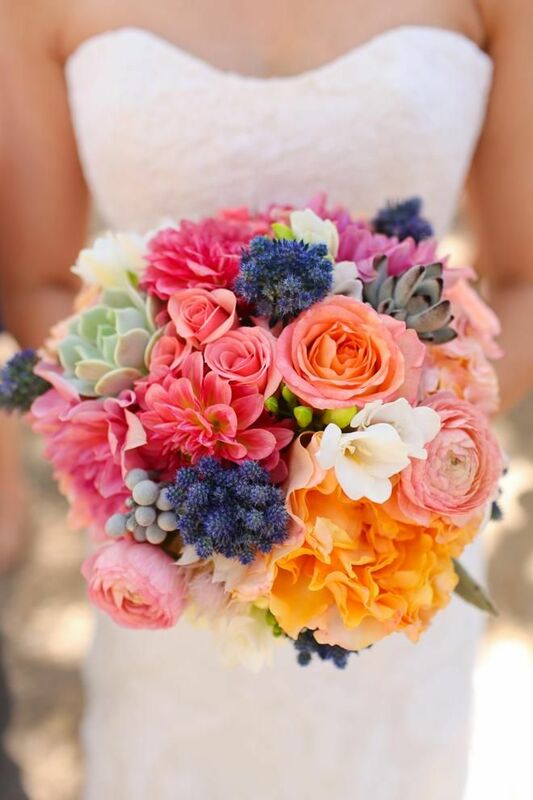 Do you have a bouquet you love but need help identifying the flowers? Post them to our Facebook page and I will identify them for you! 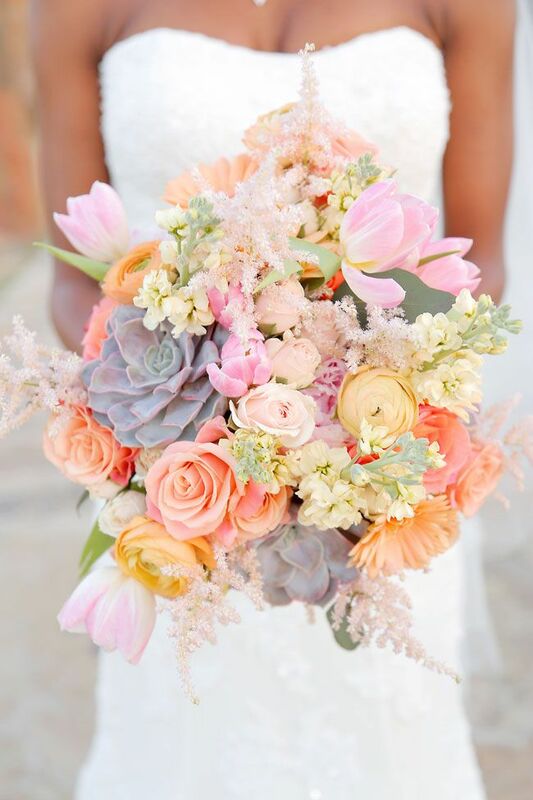 This hand tied bouquet consists of beautiful light pink tulips, orange and yellow ranunculus, light pink and peach roses, white freesia, eucalyptus, a few succulents tucked in! 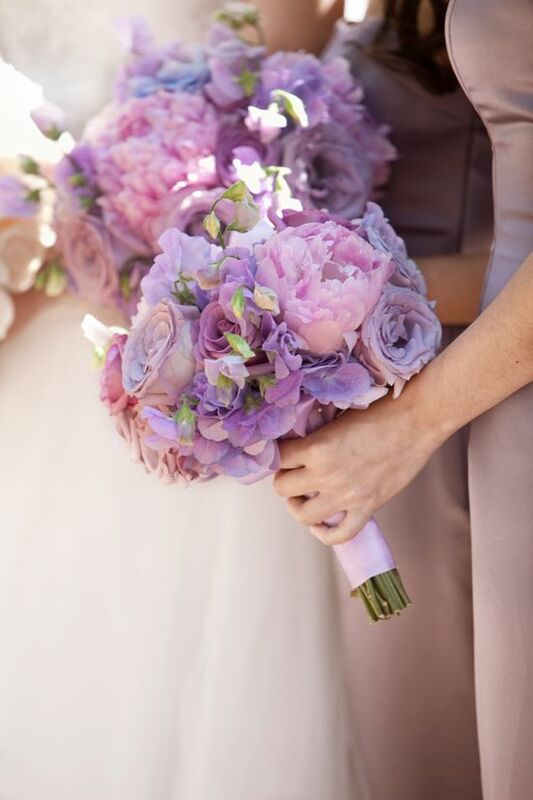 Beautiful purple bouquet with purple peonies, purple hydrangea, purple roses and purple lisianthus! 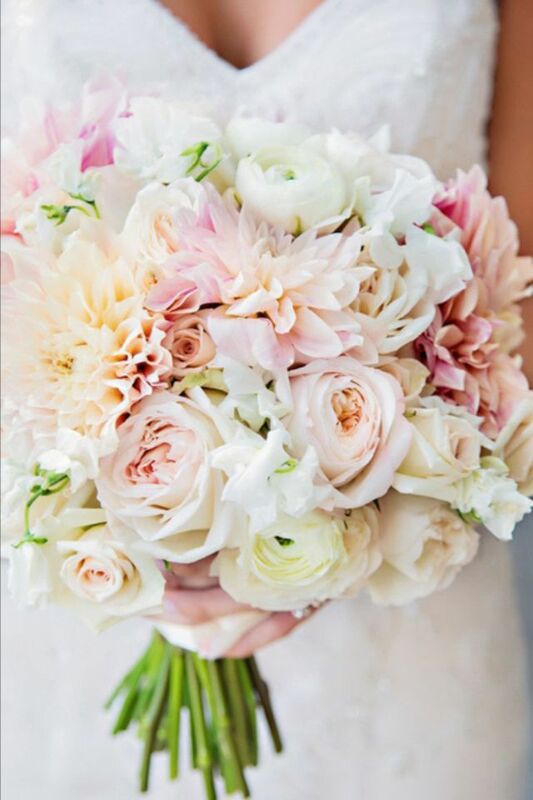 Hand tied bouquet with cream roses, white and pink dahlias, white ranunculus, light pink roses and white freesia! 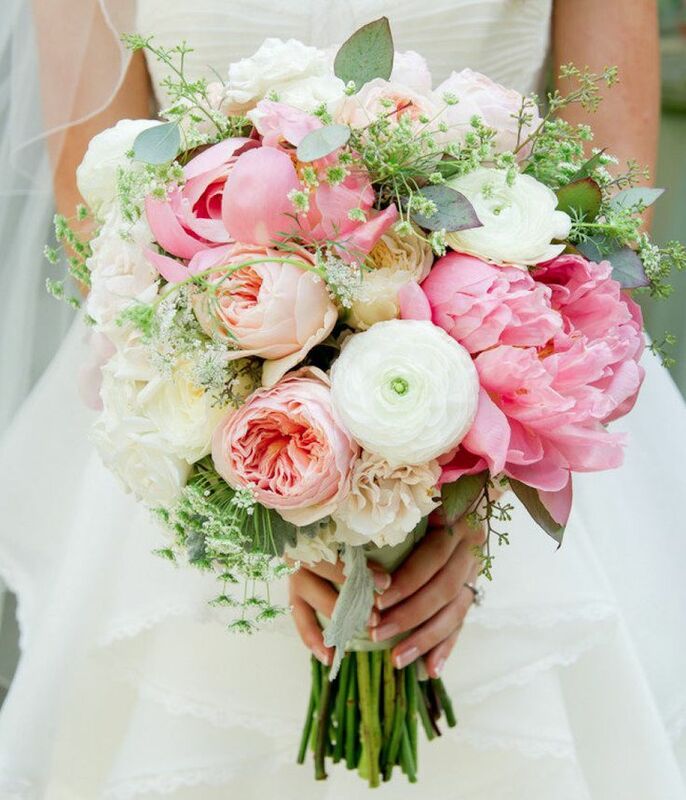 Pink and white Peonies, white ranunculus and a touch of Queen Anne’s Lace (not to be mistaken for baby’s breath)! Pink peonies, white dahlias (unique variation), white wax flowers for accent and silver leaf tied off with a simple tweed string bow!